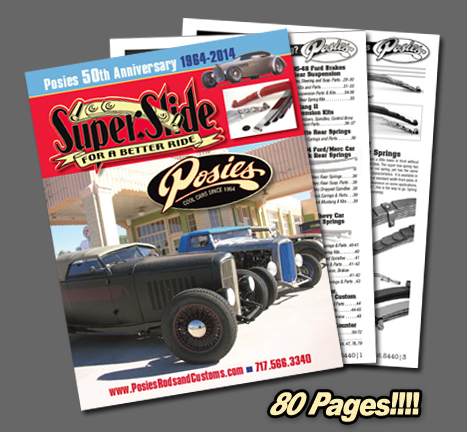 POSIES is proud to offer our new 80 page 50th Anniversary Catalog offering SuperSlide Springs and Hot Rod Parts. You can view our catalog online by clicking the catalog cover or link below. Price list is available to view by clicking on Price List link. Print catalogs are available for $4 with a $5 refund on your first order. The Catalog file is full size for ease of reading. You may have to adjust the zoom/size to best fit your monitor. Can be viewed with Explorer or Google Chrome.